The mojito might be the most polarizing drink on the Internet. Stirred, shaken, or just plain poured? Simple syrup or sugar? And then, what kind of sugar—coarse or confectioners’? Is it okay to add a flavor? Maybe one day I’ll subscribe to the whole “there’s a right and a wrong way to make a cocktail” mantra, but for now, I’m going with what tastes good. And if there’s one tasty cocktail that I’ve been jonesing for to remind me that summer still exists, it’s the mojito. 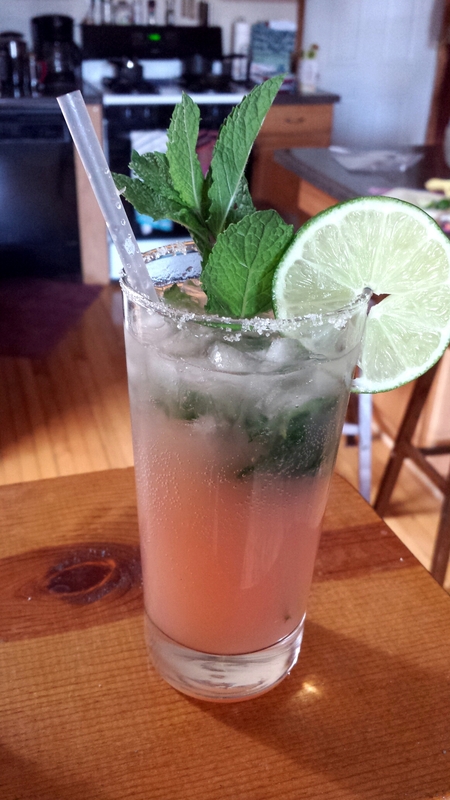 More specifically, the delicious fresh guava mojito at Paladar Cuban Restaurant and Rum Bar in Logan Square. It was really love at first sip with that cocktail, and I’ve been unable to order anything else with my cuban sandwich ever since. To make my own version, I had every intention of buying a whole guava and trying to puree it in my blender. Unfortunately, Mariano’s produce department forsook me and I was forced to buy bottled guava nectar. The brand I bought, Hero, turned out to be pretty delicious, plus it doesn’t have any pesky high-fructose corn syrup. I used Cruzan white rum, because apparently white rum is the one absolutely necessary component to a mojito—the brown stuff just won’t do. 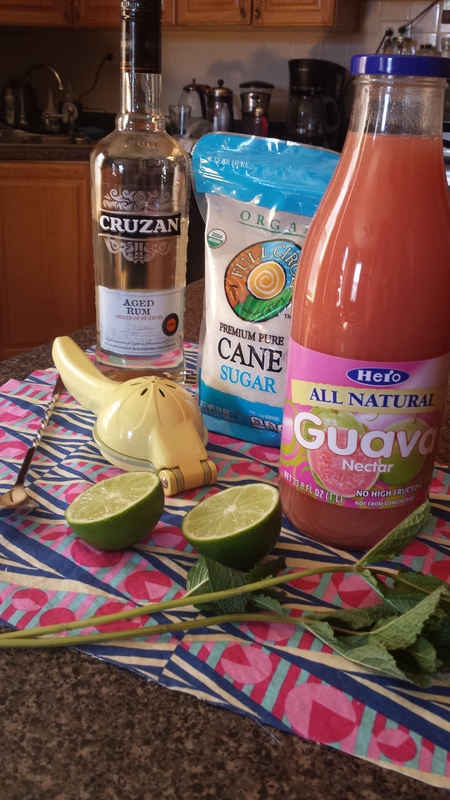 Feel free to play around with the proportions of this recipe or swap out the guava nectar for another juice. In a tall glass, gently muddle together the mint, lime juice, and sugar until very fragrant. If you’re like me and don’t have a muddler handy, the back of a wooden spoon works just fine. 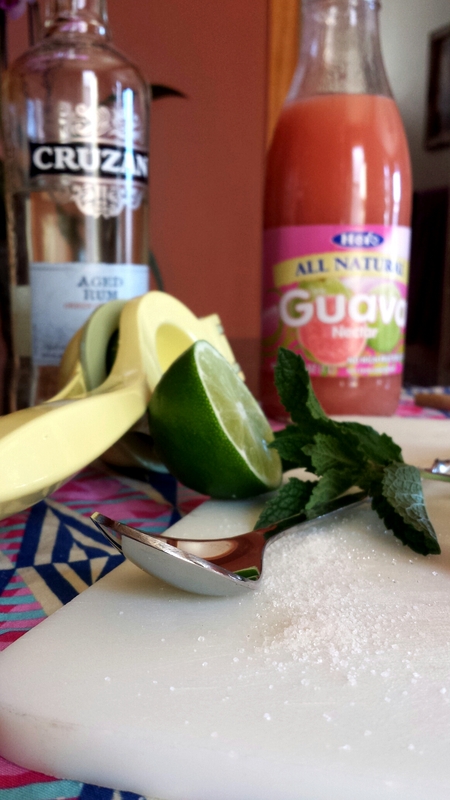 Add a generous amount of crushed ice, then top with the rum and guava nectar. You can adjust the amount of sugar or guava nectar depending on your desired sweetness. Fill the glass to the top with soda water, and give it a quick stir. It might not be traditional or “right,” but hopefully it’ll be tasty and refreshing! Have you made mojitos at home before? Any tried-and-true tips or tricks?